At the age of 4 years old, she was inspired to sing R&B/Soul music, listening to Destiny’s Child, Mariah Carey, Beyonce, and Whitney Houston. In 2011 she was chosen as a finalist for Next Generation Star auditions hosted by David Foster. The following year she won The Dream Support Project Award, where she flew to New York City for her first performance in the US. This honor increased her desire to spread R&B/Pop music not only in Japan, but around the world. 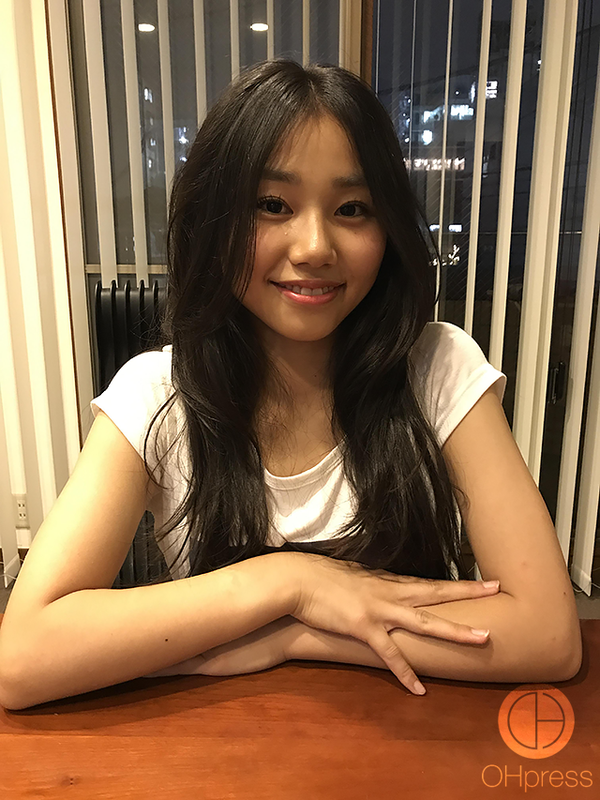 In July 2016 she joined THE MIC-A-HOLICS INC., who also managed AI (one of Japan’s biggest R&B/Pop singers in Japan) who helped produce her début single “GOLD” and EP “I love to sing.” Both reached #1 on Apple Music R&B Charts. Spotify Japan chose RIRI as one of the “Most Anticipated Artists” of 2017. 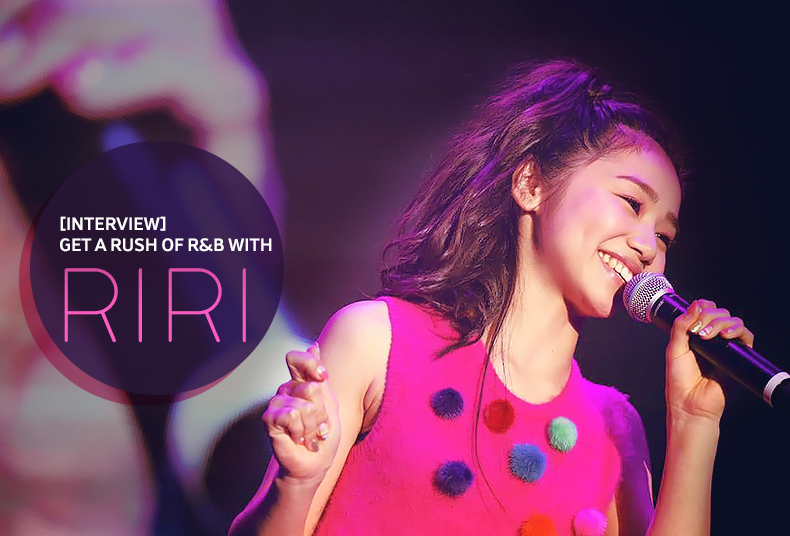 She has released her second EP “RUSH” and released her first MV ever with the track “RUSH” over the summer. Congrats on your second EP. I’m loving “Be Alright,” what was your favorite track in this EP? Thank you! I love all songs in this EP! I actually recommend “Be Alright” too! I wanna be a singer that can bring dreams to people. Giving hope and dreams to people and tell the importance of never giving up their dreams! One day, I want to perform with Beyonce! She is my dream and I was influenced by her a lot! Have you considered getting more involved with writing lyrics or composing your own music? Yes! Now I am more involved in composing and writing lyrics. I write most of the Japanese lyrics now. I like to go to places with nature with my family. Sometimes I need to relax since Tokyo is a busy city! When I see the audience smiling and enjoying my show. That’s actually my favorite part of being an artist! My favorite song to perform is “RUSH!” All my friends at school also love this song. Basically I keep all my songs in POP/R&B field, but would like to try more in “Future Bass” type of sounds. I see myself performing in many other countries like the US, Europe, Asia etc.! A few fans have submitted their own questions for RIRI. What was the inspiration behind RUSH? I really love the song by the way! Thank you for loving the song! When I first listened to “RUSH” for the first time, I had an image of feeling the “Sweet Love” for a boy! I guess, the first emotion of liking someone. Can we expect more songs and MV’s in the near future? Yes! Just released my first Music Video and more should be coming out! How did you come up with the stage name RIRI? When I took an audition for “born to sing” hosted by David Foster, I sung on the big stage for the first time and I was soooo excited like I had never felt before. That was when I realized my dream is to be on stage and sing. Rush had small clips of dancing. How would you rate your dancing, and are you planning to incorporate choreography into your performances? I loved to dance since I was a child. Actually, I was into dancing even before singing! Watched a lot of Beyoncé’s videos and dancing to it! Also took some dance lessons before. And yes, I wanna take more dance lessons and be able to sing and dance in the near future. I’ll definitely have choreography soon so please look forward to it! Who were the people who encouraged you to enter the music industry? Did you get any criticism/face any obstacles? My mother has been encouraging me a lot since I was small. Then I met “AI”, my favorite Japanese Singer! She encouraged me to come to her management company, and now I am! Haven’t gotten any criticism yet. So I’m always happy!